Pir Vilayat Inayat Khan, was his father Hazrat Inayat Khan's sucessor and during his fifty years as head of the Sufi Order International became an internationally-recognized spiritual teacher and master of meditation. He was an avid student of many religious and spiritual traditions and incorporated the rich mystical heritage of East and West into his teachings, adding to it the scholarship of the West in music, science, and psychology. He initiated dozens of international interreligious conferences as well as convening spiritual and scientific leaders for public dialogues. He founded the Abode of the Message, a spiritual community in the Berkshires for over thirty years, and Omega Institute, a flourishing learning center. Pir Vilayat died on June 17, 2004. This beautiful and reverential discourse in the Sufi tradition is from Pir Vilayat Khan, the eldest son and spiritual successor to Hazrat Inayat Khan, the man who founded the Sufi Order in the West in 1910. Pir Vilayat’s retreat process was modeled on the ancient alchemical process of transmuting lead into gold, but here it is the human heart, which, purified of its dross, reflects the divine luminosity. Bold exploration into the meaning and purpose of spirituality in the contemporary world. Transformation, discovering sacredness of life and the order behind the universe.A bold exploration into the meaning and purpose of spirituality in the contemporary world. 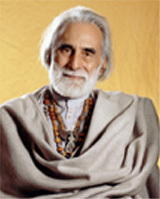 Pir Vilayat (1916-2004) was the son and spiritual successor of Hazrat Inayat Khan. Spiritual dimensions of emotion, improving selfimage, working with energy. Life is a Pilgrimageis an inspiring and thought provoking selection of the discourses sent by Sufi teacher Pir Vilayat Inayat Khan to his students from 1983 to 2004. The spiritual biography of Pir-o-Murshid Inayat Khan (1882-1927), who came to the West as a representative of the musical traditions of his native India. He brought with him a message of love, harmony, and beauty that was both quintessence of Sufi teaching and a revolutionary approach to the harmonizing of Western and Eastern spirituality. This book is drawn from an intensive, three-day spiritual retreat with about 100 people in March, 1993. The publishers say “this book transcends the boundaries of any one faith or spiritual path.